In order to comprehend and meet the assorted requirements of respectable clients, we are able to render International Courier Shipments. Our qualified agents professionals try to provide the best possible benefit to the clients as part of international courier shipments with reference to the custom notifications and exemptions being a custom clearance agent. Our product range includes a wide range of International Courier Shipments such as Customs Clearing, Postal Shipment Clearance Services, Indian Post Clearance Services, International Small Parcel Shipments, Indian Postal Clearance Services and International Parcel Shipments. 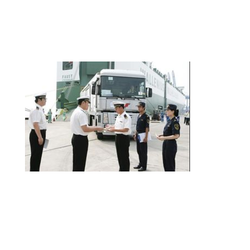 We are one of the leading firms engaged in providing Customs Clearing to esteemed clients. Customs clearance is required for importing or exporting any good. We offer these custom clearances to our clients are at market leading price range. We offer clearance of consignments by Sea, air as well as land. With the required documents, our team of experts get the customs clearance and ensure end-to-end solution for export or import of the good in the most cost-effective manner. 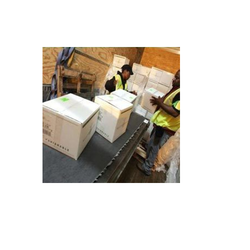 We are a renowned organization, which is engaged in rendering Postal Shipment Clearance Services. These services are offered under the able guidance of our experienced professionals, who have vast knowledge and years of experience in their respective domains. During the journey of the parcels/belongings sent by customers internationally they have to pass through postal customs and many times they are detained for want of clarification and documents. We facilitate in speeding up these process.